For all of your compressed breathing air and oxygen needs AAA is the place to go. 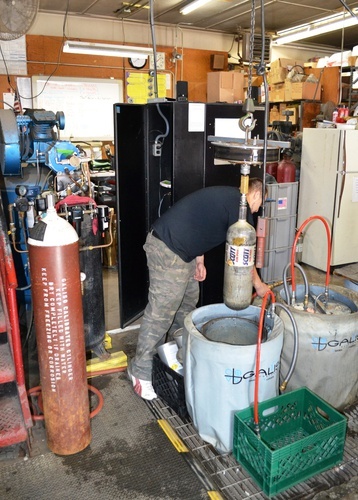 Our cylinder services range from SCBA cylinder hydro testing, repair, and recharging to compressed oxygen cylinder hydro testing and recharging. With our state-of-the-art Galiso Hydrostatic Testing System, and certified technicians, AAA with provide your organization with accurate results where it counts. We ensure each cylinder and valve that leaves our facility is safe for its users and the citizens they serve and protect. For details on our Compressed Air and Oxygen services please contact our office.